The wood Oxford handmade bed frame showcases excellent support, with its high headboard and footboard. Inspired by the contemporary style seen in our Cambridge Bed, the Oxford bed captures the regality of all beds in the London themed range. The Oxford Bed combines the defining features of these bed designs, making the most of its stylish companions. 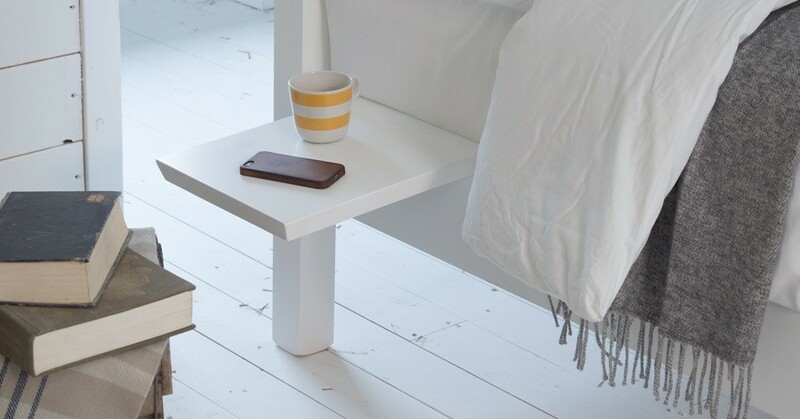 Have it constructed from Scandinavian Pine and personalise with a choice from our vast selection of different finishes. 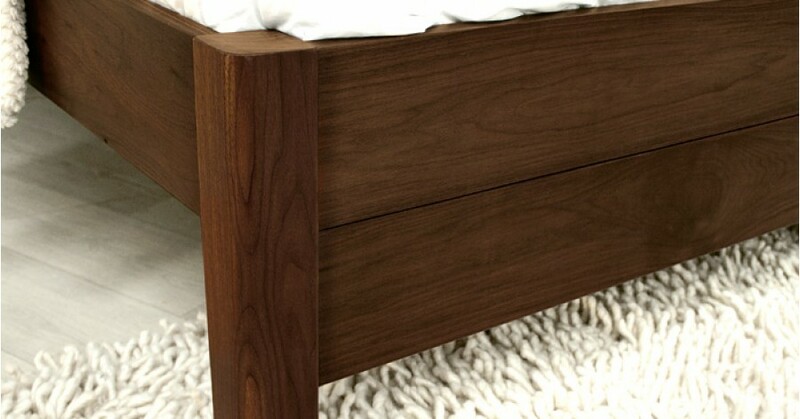 A subtle chocolate finish suits the refined nature of the Oxford bed and is a popular choice amongst our customers. 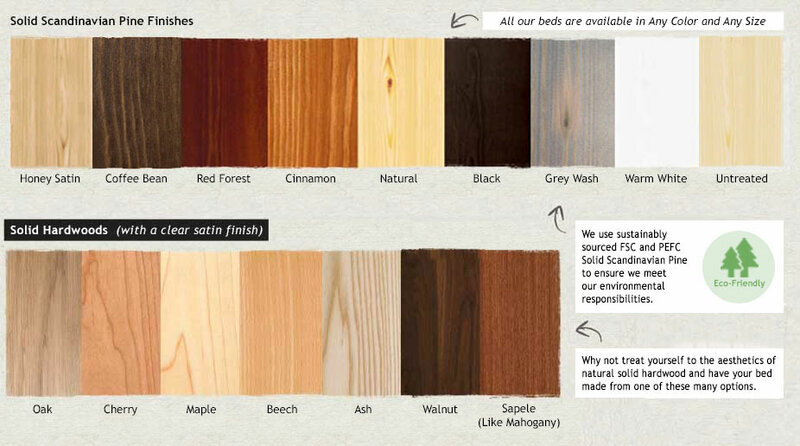 That’s not the only option; solid hardwoods offer a stunning natural look, with a large selection available to choose from, personalising your handmade wood bed frame has never been so tempting. 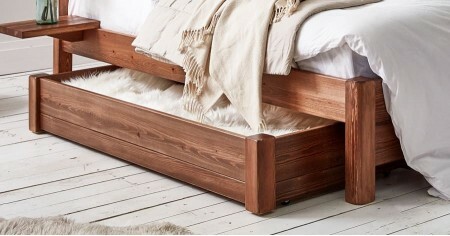 Our Oxford Bed maintains the high standard of elegance and stylishness set by the rest of our handmade wood beds. The Oxford Bed exudes an air of sophistication that guarantees its suitability for any setting, fitting for whatever decor it might encounter. 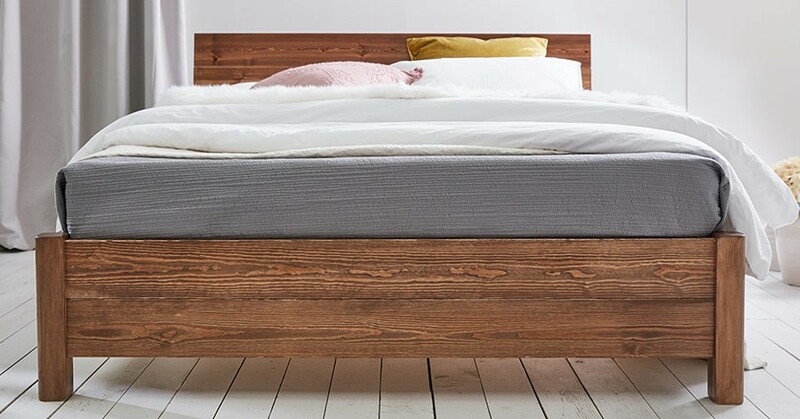 Its design is purpose-built to give off the classic, sleek appearance embodied in our wood bed range, better than ever before. The wonderful inclusion of the Oxford Bed in our full range of contemporary designs is accentuated by the variety of different satin finishes you can choose from. 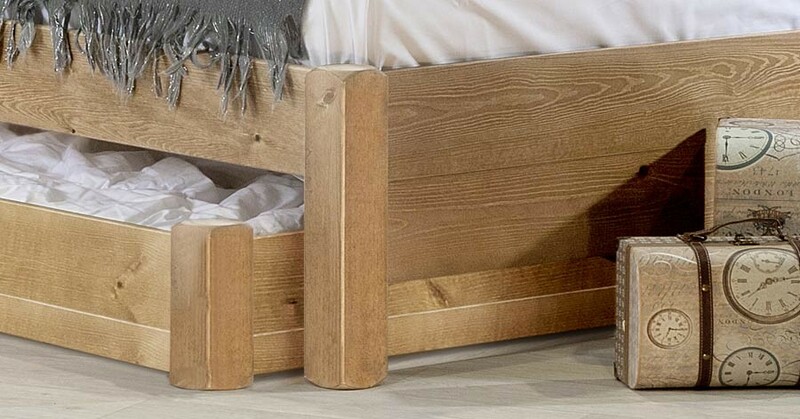 The Oxford wood bed stands as a proud member of the platform bed range, with (reams/oodles/lots) of room under the bed frame that can be utilised efficiently. 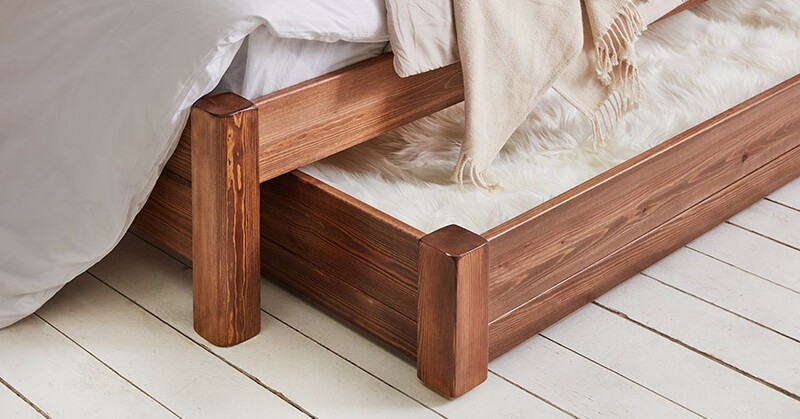 This makes the Oxford Bed perfect for saving space in your bedroom, especially if you’re looking to create more floor space. Suitable for under bed storage boxes, you won’t need to worry about struggling to fit anything underneath. 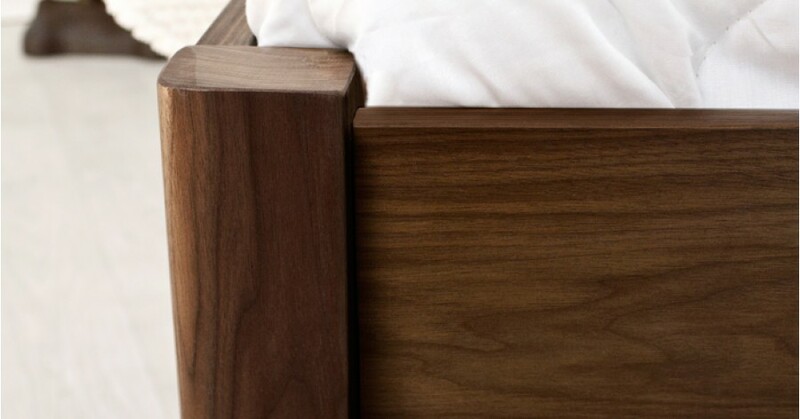 We hand-make all our wood bed frames according to a high standard of quality, making use of sustainably sourced, strong timber and tried and tested methods of construction, such as the mortise and tenon joint. 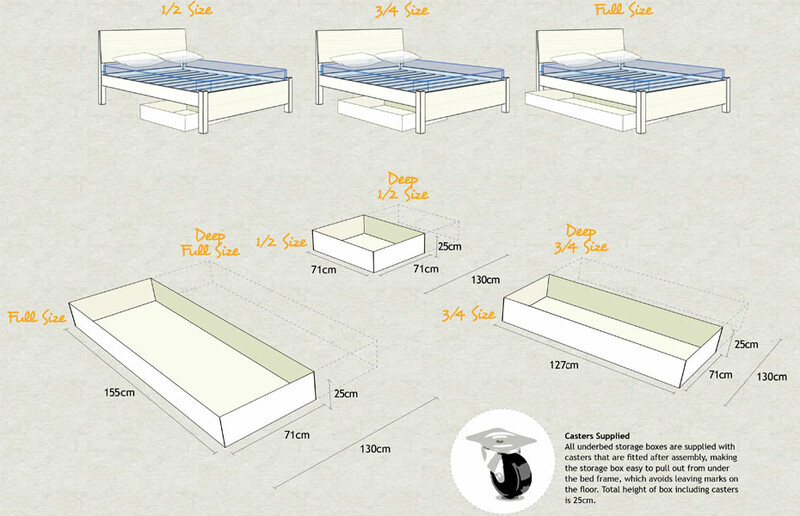 These factors combine to create a bed that’s perfect for you and your bedroom. Our Oxford wood bed frames are handmade in the rural heart of England, Leicestershire, by our experienced team skilled craftsmen. 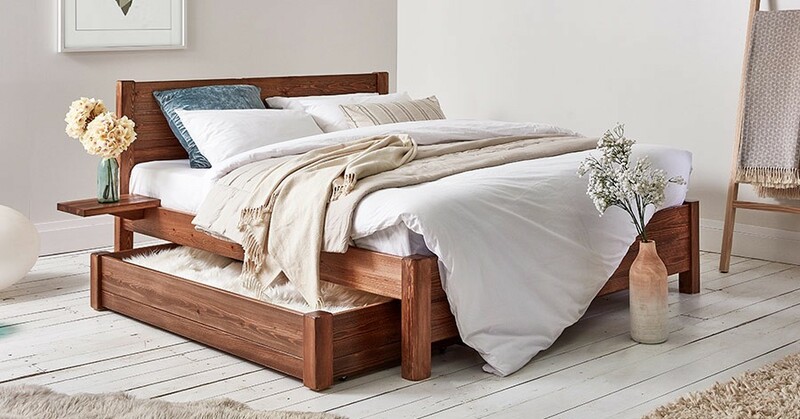 We’re proud and confident in the level of quality we aim for in our handmade wood bed frames, so we offer an 11-year guarantee on all every bed we have, as a standard. The Oxford Bed, like all of our bed frames, can be made in any of our sizes, from small single to the exclusive super caesar 9ft size. 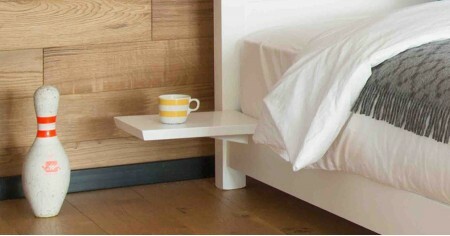 Customization doesn’t end at the size of your bed frame though. There is a large variety of different satin finishes available for every bed frame we offer, regardless of size or model. Not to mention our Solid Hardwood options, an excellent choice if you’re looking to achieve a more natural atmosphere in your bedroom. It doesn’t matter whether you’re having a color finish or a solid hardwood, they will be finished in a clear satin coat to protect the bed. If you need something specific changing on your Oxford bed, we also provide a bespoke alteration service. If you’ve got a tight space you need your bed to squeeze into, or you just want that extra little touch of personalization, we can build your bed to suit you exclusively. Simply get in touch with us to talk about what you need. Our handmade Oxford wood bed frame shares a lot of traits with the London Bed, however, it provides a higher headboard for increased support should you require it, it’s also well suited for unwinding in bed. The Oxford Wood Bed frame pays tribute to the London themed beds in not just style but also design. Inspired by beds like the Chelsea Bed Frame and the Cambridge Bed. Please note: Bedding is not included with this bed frame. They can be purchased separately.